Of course, our commitment to the natural world should extend beyond just one day: if we wish to preserve our environment for generations to come, it’s important that we consider the impact of our actions in everything we do. 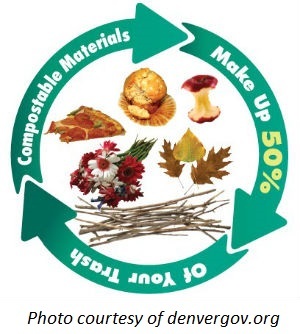 That’s why this Earth Day is particularly special for Volunteers for Outdoor Colorado (VOC). In addition to kicking off another season of hands-on volunteer projects to care for our public lands, Earth Day also marks the start of a series of initiatives we are implementing to ensure that we “live our mission” both on projects and behind-the-scenes. As you review the changes we’re making and what you can do to help, we encourage you to think about your own Earth Day resolutions and the changes you can make to live more in alignment with your nature-loving values. What We’re Doing on Projects: Every person who volunteers with us must sign a waiver for each project. While this can be done electronically when you register, it only applies to individual registrations (not groups) and many people end up needing paper waivers the day of the project. To help save more trees, we’ll be updating our language to encourage people to register individually and refrain from printing the waiver. How You Can Help: If you and a friend are planning to attend a project together, encourage your friend to register separately so that they can electronically sign the waiver. While you will receive a copy of the waiver in pre-project emails for liability purposes, you do not need to print it. Instead, you can log in to your voc.org account at any time to electronically sign the waiver; we will also bring a few blank waivers with us to the project for those who have not signed the waiver electronically. What We’re Doing on Projects: From sandwiches to coffee and snacks, each VOC project produces lots of plastic and non-recyclable waste. To reduce our use (and our costs! ), we’ll be emphasizing the importance of everyone bringing their own reusable containers in our pre-project communications to volunteers, including sharing links to places where you can purchase reusable sandwich and snack bags, water bottles, coffee cups and more. 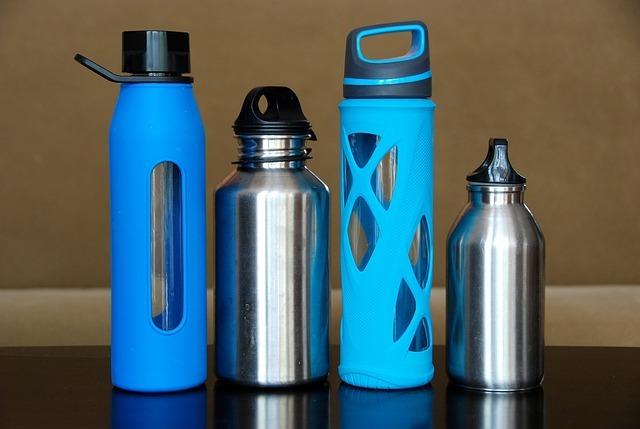 How You Can Help: Consider bringing your own supplies to the project, including a reusable water bottle, coffee cup, cloth napkin, cutlery set, and lightweight containers or reusable snack bags. If you happen to be able to discount or donate any of these items for our volunteers, please let us know! What We’re Doing on Projects: We’ve always had recycling bins on our volunteer projects, but you can expect to see more of them, prominently marked and clearly labeled with what can and can’t be recycled to encourage increased and proper use. We’re also adding a compost bin to our Operations “Ops” Center, where our volunteer Crew Chefs organize and prepare food, to keep even more waste out of landfills. How You Can Help: If you don’t see a recycling bin, or you’re not sure if an item can be recycled, just ask! And, of course, share this information with other volunteers on the project. You can also reduce your waste in the first place with the tips above! Outside of projects, we are also planning to switch most of our building lighting to LEDs, set up systems for composting and hard-to-recycle items in our office, provide visitors with public transit directions, offset our carbon footprint through credit programs, and give employees one paid day off to volunteer in their communities. If you’re feeling inspired to do more yourself, check out our friends at the Alliance Center who have lots of recommendations on how to live in a more sustainable way at thealliancecenter.org/act-now. What Earth Day resolutions will you make? Tell us on Facebook, Twitter, Instagram, or LinkedIn, and sign up for our e-newsletter for more stewardship news and tips! "Fun, enthusiastic crew, and gratifying work. Well organized. It's a small thing, but I also really appreciated that the camp chefs were considerate of dietary choices (vegetarian). I truly LOVE trail building with VOC! It gives me an even greater appreciation for the public land systems I so love, knowing all the effort needed for sound stewardship! "